Cherry Pits. Learn how cherry pits heat your home. "Why cherry pits are the best option to heat your home and keep your family warm during the cold winter months"
Cherry pits sell out fast and are only available for limited time of the year. They are usually available for a short two month period beginning in September until the second or third week of November. Enter your name and email in the form above to be the first to know when they become available. After you enter your name and email above check out all of the great information below on cherry pits and how cherries are grown and harvested. You'll also receive a free book entitled the 'Tart Cherry Health Report' when you sign up for the Cherry Pit Email Alerts. 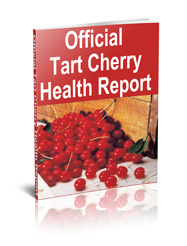 This free downloadable book is packed-full of in-depth information about the natural health benefits of the tart cherry. You'll learn how the tart cherry helps to ease joint pain, soothe sore muscles and more! 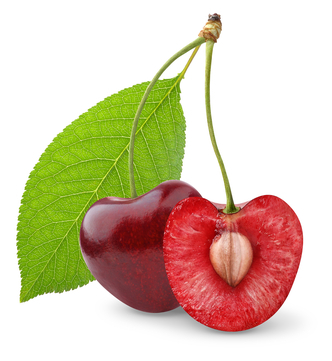 Cherry pits are an excellent alternative fuel source for heating your home. This little pit is the ideal choice for your pellet burning stove. The reason is simple. They are a very clean burn and they burn hotter than other biomass fuels. 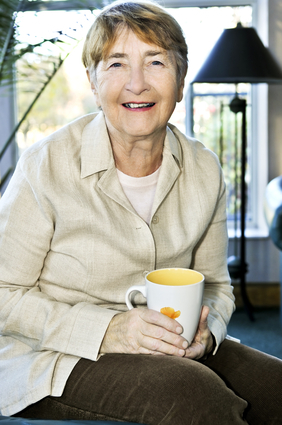 Compared to the other options available, pound for pound they are one of the most cost-efficient ways to keep your family warm. In addition, they are available in 40 lb. bags or by the ton. Best of all they are easy-to-store and can be shipped directly to your door. We are so glad we were able to get some of your cherry pits for our pellet stove. Last winter we saved over $880 by heating our home with your pits. Put me at the top of your list as soon as they become available this year. Your cherry pits really keep me warm. They are better than the pellets and they save my money. I like how my house is always warm now. Did you know, up until recently, cherry pits were considered a waste product by cherry growers? Each year tons of cherry pits were loaded up and hauled off to be disposed of in landfills. Once the secret was discovered about the heating capability of the tart cherry pit and entirely new market was created. Now the farmers, instead of having the expense of having the dispose of the products annual after each cherry harvest, they have people contacting them to purchase the pits. However, you simply don’t want to go out into the cherry orchard and start collect pits to burn in your pellet stove. To be a viable heating source, the pit must be cleaned, scrubbed and then dried. After this part of the process has been completed, they must then be stored in cool dry areas. This helps the keep the pits free of moisture buildup. Where Do Cherry Pits Come From? The availability of the cherry pits to heat your home depends on the annual crop yield. The greater the harvest, the more pits will be available during any given year. For the United States, Michigan is the #1 producer of cherry pits. The reason is the State of Michigan is the top cherry growing state in the United States. The northwest corner of the lower-peninsula, also known as the Traverse Bay Farms region, grows over 70% of all of the cherries in America. 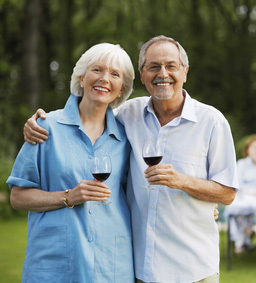 It is estimated the annual U.S. crop yield is 275 million pounds of tart cherries. The Traverse Bay Farms area produces approximately 210 million pounds of the overall annual crop. The reason this part of Michigan produces some many tart cherries is of the unique micro climate of the region. The area is tucked along Lake Michigan and has countless rolling hills. In addition, it is on the 45th parallel. This famous northern latitude line circles the Earth and cuts across North America, Europe and Asia. It is the halfway point between the Equator and the North Pole. Some of the best fruits and vegetables grown on the planet are grown along the 45th. The reason is it 45 degrees of the equator and this temperature is consistent, has excellent wind flow and receives almost 16 hours of sun per day during the summer months. This allows the orchards, vineyards and crops to enjoy the warm sun, cool nights, adequate rain and wind drainage. Check out the video below to see exactly where the Traverse Bay Farms region of Michigan is located. In addition, you'll also see actual Michigan cherry orchards that grow tart cherries as seen from a seat of a low-flying airplane. The cherry blossoms start appearing in early to mid-May. Once the cherry blossom burst from the buds, the cherry orchard is a beautiful place to be. The orchards are soon covered in white blossoms that last at the most a week or so. Each blossom turns into a cherry. The average cherry tree produces about 7,000 cherries. This means all of the cherries are the source for the cherry pits used to heat your home. The cherry harvest is usually from the first week of July until the mid-August. During this time, countless workers and machinery are harvesting the cherries. Once the cherries are harvested, they are separated, washed and them are turned into multiple products like tart cherry juice, frozen cherries and the numerous other types of healthy and great tasting cherry products. Check out this video on how the cherries are actually harvested. You’ll learn about the very unique experience of watching the cherries being harvested and processed. As you can see, harvesting cherries involved a lot of step to get the cherries from the trees. Once harvested, the pits are removed and separated. Just like the cherries themselves, the cherry pits must be wash and dried then then storage in sealed conditions until they are bagged up into small 40 lb. bags or 13 lb. bags for customers. Did you know the unique make up of cherry pit is the secret to providing consistent heat? No flair ups or worry from heating with cherry pits. Cherry pits are eco-friendly. When using cherry pits you’re using a renewable energy source and supporting the American farmers growing the cherries. Compared to other heating options, cherry pits are less expensive and saves you money to heat your home. Pound per pound they are a great value.